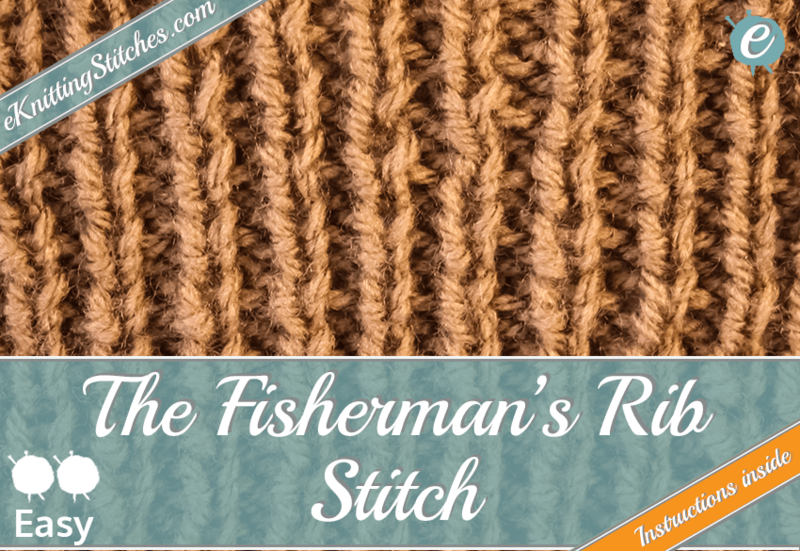 The Fisherman's Rib stitch is a beautiful example of a dense, tightly knitted Rib Stitch. Like the majority of Rib Stitches, the Fisherman's Rib is reversible. While there is some give in the Fisherman's Rib, due to it's very tightly knitted, dense texture it is less stretchy than some of the other rib stitches. Precisely, for this reason, it is particularly suited to fitted projects or areas of projects that require a more fitted shape such as collars, hems, and cuffs on projects where you don't want too much in the way of give. 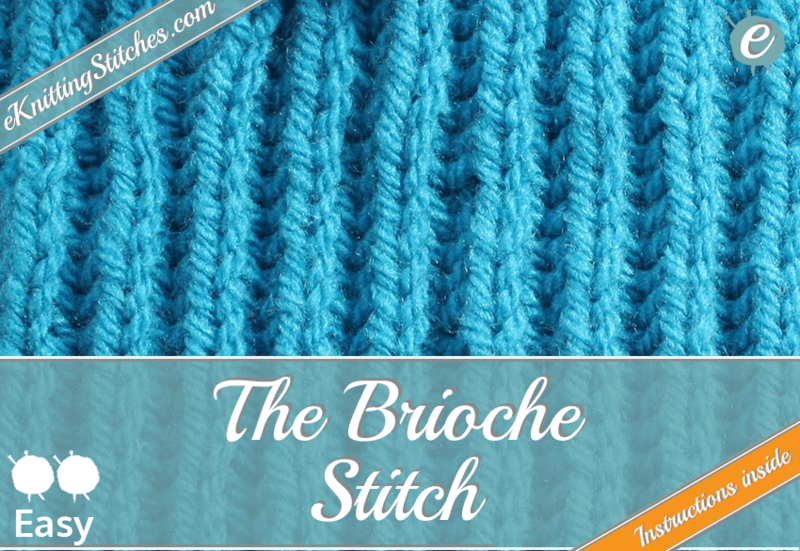 So, what is the Fisherman's Rib Stitch? The Fisherman's Rib Stitch requires mastery of the basic knit stitch and variation on it, the knit one below. These two stitches are combined by simply alternating between them - knit one stitch then knit one below stitch and repeat throughout the project. An alternative is to purl one stitch and knit one below, repeating the pattern till the last two stitches which are purled. Cast on the required number of even stitches for your project. 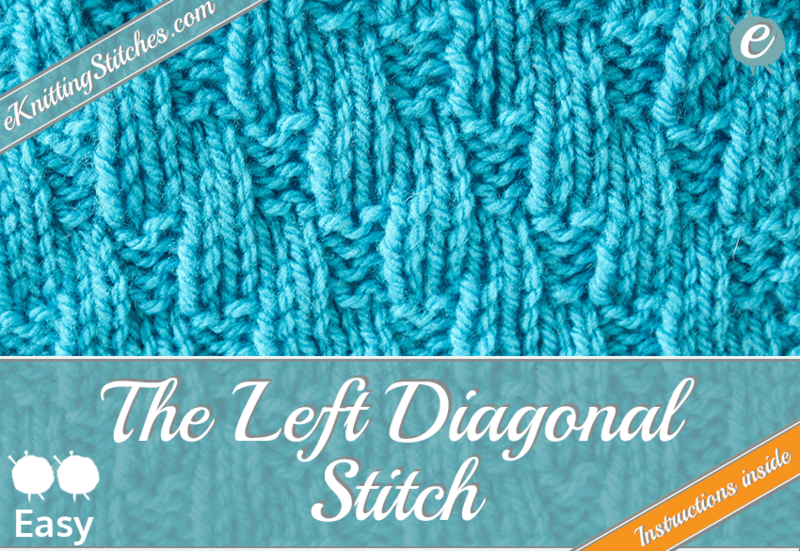 The Left Diagonal Stitch uses repeating patterns of knit and purl stitches to create a cascading domino texture. This stitch is particularly suited to items such as pillow case covers. 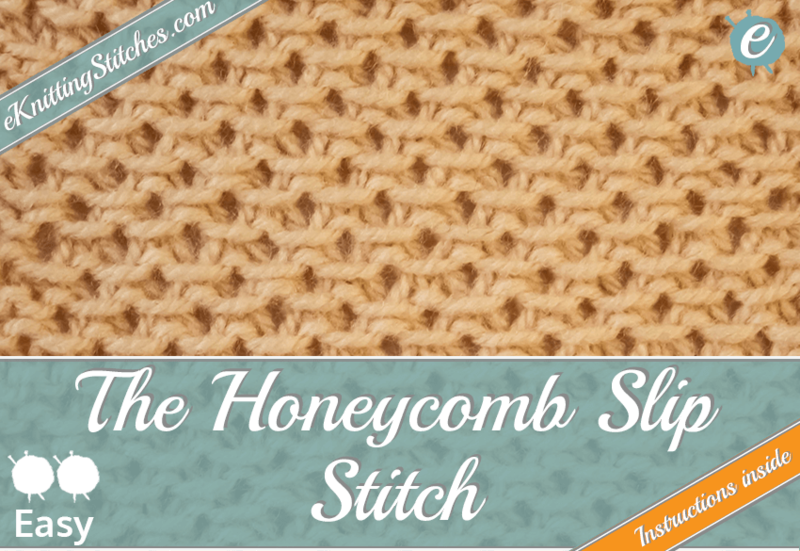 The Honeycomb Slip Stitch is a beautiful stitch so named (if you couldn't guess) for it's resemblance to a bee's hive. There are many variations to create this honeycomb texture, from other ways to get a similar pattern using slip stitches or cables. Whilst the following pattern is slightly more complex than most of the honeycomb stitches it gives a denser, more intricate reversible pattern that is excellent for scarves or hats.